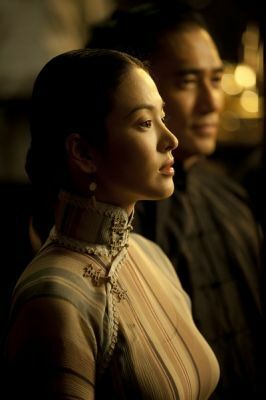 The story begins in Foshan province, where at the age of 40, Ip Man (Tony Leung) is happily married to a beautiful, doting wife (Korean actress Song Hye-kyo), lives off a healthy inheritance, and has continued the family legacy of advocating Wing Chun, a simplified yet remarkably effective form of kung-fu. At the Golden Pavilion, a local brothel patronised by many of the region’s finest martial artists, North-eastern Grandmaster Gong (Wang Qingxiang) challenges the best Southerner to a fight, before he returns North. After seeing off his rivals from the other local martial arts schools, Ip Man comes forward, only to demonstrate that intelligence and restraint can prove as powerful weapons as kung fu. Ip insists that Northern and Southern martial arts can co-exist peacefully, and Gong leaves humbled, yet satisfied.